A monument to Soviet rock star Viktor Tsoi has been erected in the town of Karaganda, Kazakhstan. Made from iron sheets, the monument has an inverse image of Tsoi's face cut into the metal, which casts a silhouette at the moment of a solar eclipse. Tsoi who died in a car crash on 15 August 1990, aged just 28, was the lead singer of Soviet rock band Kino, a group known for their impassioned songs of poetic brilliance and political fervour. He was, and still is, one of the Soviet Union’s most loved musicians. A solar eclipse featured on the cover of Tsoi’s last album The Star Name The Sun, with the hit single of the same name recorded in Kazakhstan's capital Almaty, in 1988. The ceremony unveiling the momument took place on 26 August with the late musician’s father in attendance, as well as many of the cult hero’s fans. 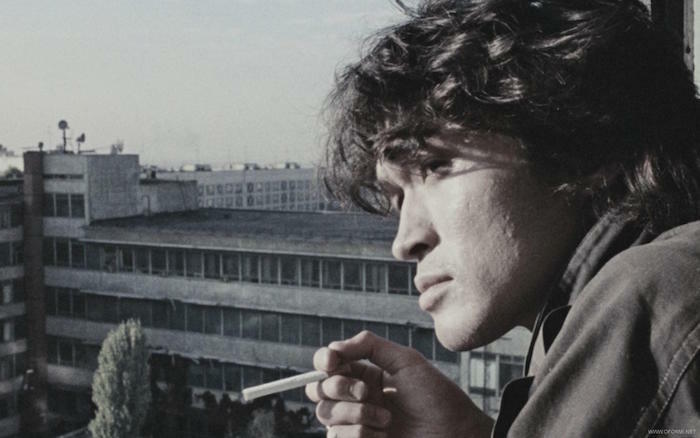 A feature film about the relatively undocumented life of Viktor Tsoi is currently on hold, after its director Kirill Serebrennikov was accused of embezzling government funds and placed under house arrest until 19 October.